The Ultra-Premium option for those who need to know that their single shot is going to put the game animal down where they stand. 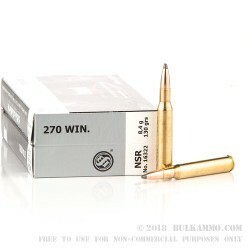 This is the top quality .270 ammunition from the Sellier & Bellot brand, and it is incredibly impressive. 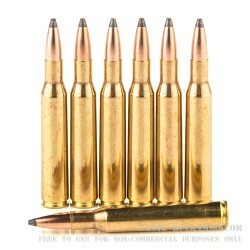 It’s utilizing a Nosler Partition projectile in 130 grains that gives the traditional look but adds the timeless performance of the Nosler Partition bullet. This is a significant performer, despite not being the newest technology. 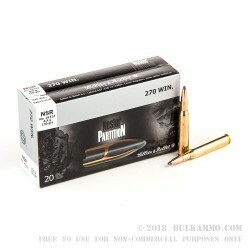 The proven history and legitimate hitting power of the partition projectile paired with the known prowess of the 130 grain .270 Winchester bullet, makes this a big game killer through and through. The Sellier & Bellot brand name is a legitimate one; as a company, S&B has been producing top tier ammunition since 1825 – that’s quite a history – longer than some of the best-known companies in the sector by a long way. Including Winchester (1866) and Federal (1922). Yes, this is a pricey round, but you are getting an incredible performer through and through. 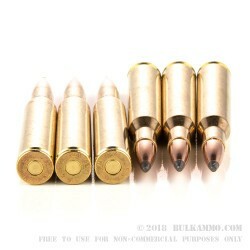 With this cartridge, you will be getting single shot performance. Period. You can rest assured that the quality of components is well above average and actually has few peers in the industry. From the brass to the Boxer primer to the through-burning powder, this will be your go-to round for intermediate and big game in the future from the second you chamber it.